Mets did everything outside the box — will it blow up in their face? When Brodie Van Wagenen took the path less taken, going from agent to general manager, worries arose about how members of his former and current worlds would enact business with him. Player representatives and front-office executives expressed concerns about how — and even if — they would interact with the Mets’ new head of baseball operations. Could he be trusted? Where did his loyalties lie? What did he know from his previous life that could be weaponized now? The uneasiness, to all outward signs, have proven to be noise over reality. I spoke to a half-dozen agents and executives who engaged this offseason with Van Wagenen and, even with anonymity offered, none disparaged him. Instead, they described business as pretty much normal, despite the unorthodox, mid-career job flip. Most praised Van Wagenen for being candid, direct, energetic and decisive in what he was willing to do either in trade or contract talks and someone who showed a positivity about players. Now that those anxieties have been mainly flushed, what did Van Wagenen do with that candid, direct, energetic and decisive philosophy? He decided a team with the Mets’ powerful rotation should not punt for a better tomorrow. 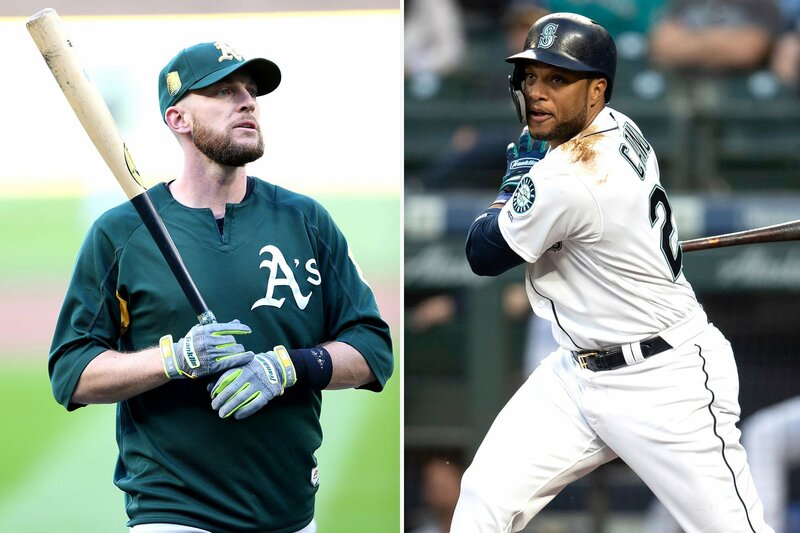 Van Wagenen felt he had great insight into Robinson Cano’s 80-game suspension for violating terms of MLB’s PED testing protocol since he was the second baseman’s agent last year. The Mets believe the NL will incorporate a DH during the remaining five years of Cano’s contract, providing a place for his bat in case his legs and defense go. The Mets felt there were great benefits in offloading Jay Bruce and Anthony Swarzak and their contracts. And they were willing to take various risks financially and give up two of their finer prospects to get their hands on Edwin Diaz. But at a time when the rest of the sport is favoring young, the Mets locked into Cano for his age 36-40 seasons after a drug suspension — at the cost of Justin Dunn and Jarred Kelenic and (even when subtracting what Seattle is paying, plus Bruce and Swarzak) $66 million for Cano. Plus, the Mets took on Jed Lowrie for age 35 and 36. Plus, an injury-prone Wilson Ramos for 31-32. Could Dunn, Kelenic and the willingness to invest $66 million — or $105 million with Lowrie and Ramos added — have netted less age/multi-year risk? 2. The acquisitions of Cano and Lowrie will force Jeff McNeil to find most of his at-bats in the outfield. Can he play out there? Can he play out there well enough that the Mets are not going subpar in a corner and center with Brandon Nimmo when both play against righties? McNeil had just a 63-game cameo, but his bat-to-ball skills and better-than-advertised defense at second, combined with on-field enthusiasm, made me want to see more at second. Now, Cano will mainly play second. Lowrie, with 14 starts at third over the last three years, will shift there. Can he play that spot regularly? Can he handle backup shortstop (where Lowrie hasn’t started a game since 2015)? The trend in the game is to have flexibility and more dispersed at-bats over 10-12 position players. But if Lowrie mans third and Peter Alonso is actually ready for first, will there be enough at-bats for Todd Frazier? Or will he become the Mets’ Enes Kanter — a guy in his walk year, used to playing regularly who is unsettled by his status? 3. The Mets have a better roster for 2019. But the same could be said for the three teams that finished ahead of them in the NL East last year, with the potential Philadelphia still might add Bryce Harper or Manny Machado. With all they did, the Mets’ divisional edge remains their rotation. The four key members (Jacob deGrom, Steven Matz, Noah Syndergaard and Zack Wheeler) made 116 starts last year (an average of 29 each) and the Mets still finished fourth. Would you bet over or under for 116 starts again? Perhaps depth here can still be addressed, but right now their sixth starter is Hector Santiago. The Mets could deploy Robert Gsellman or Seth Lugo as openers until they are stretched out, which would detract from the pen. Will Van Wagenen’s larger actions in other realms protect the rotation in a greater way?